Shell Marine has launched a new cylinder lubricant aimed at vessels switching to 0.50% sulfur bunkers to comply with the upcoming IMO2020 global sulfur cap. 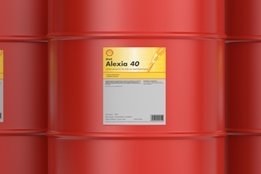 The Shell Alexia 40 is a 40 BN product, and compares to 25BN products aimed at those burning 0.10%S fuels, and lubes with a BN of 100 or higher for vessels burning HSFO. The new product will be available for use in Singapore from June 1, 2019 and will be gradually introduced to Shell’s other main supply ports including US, China, United Arab Emirates and the Netherlands before the January 1, 2020 start date for the new cap.